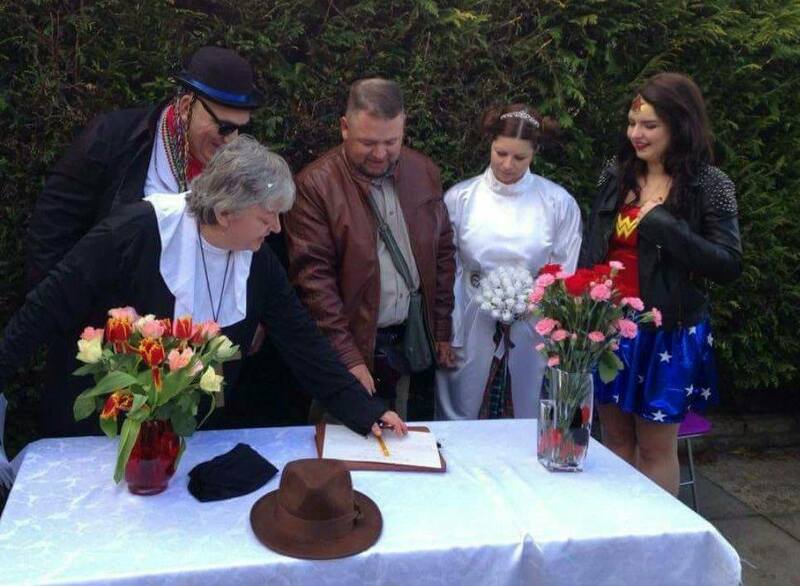 A vow renewal with a difference! On Saturday I had the very great honour of taking a vow renewal for a lovely couple, Steven and Susan … it was actually held at a “surprise” birthday party for Steven .. but he found out about it .. and decided to surprise Susan with a vow renewal after nearly 17 years of marriage. 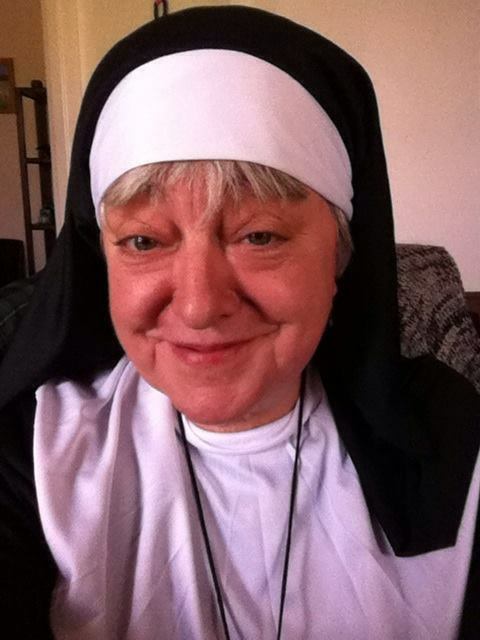 There was one little hitch .. the “surprise party” was fancy dress … and it was agreed that I would turn up dressed as a Nun .. (Whoppee Goldberg!) … which I duly did! It was very lovely … Steven read a beautiful poem out to Susan and then got onto one knee and reproposed to her … the surprise on her face .. and that of their daughter Megan (not to mention all their guests) was wonderful… a great day .. and one that I will remember for the lovely people who accepted a stranger (me!) into their midst in such a lovely and friendly way. Thanks to all your friends Steven .. and my very, very best wishes for the future for you and Susan .. and of course Megan .. long may she continue her art!